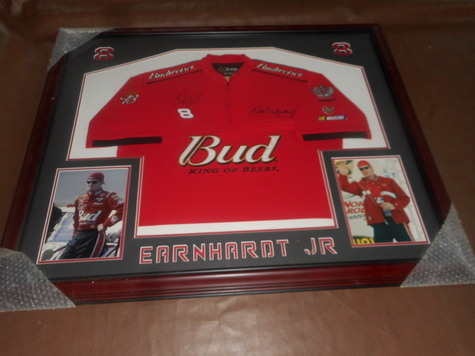 Beautiful Glass Framed Dale Earnhardt Jr. Signed Shirt with 2 8x10 photos. Few scratches on frame. Very Heavy item. Large 36x44. Heavy item.